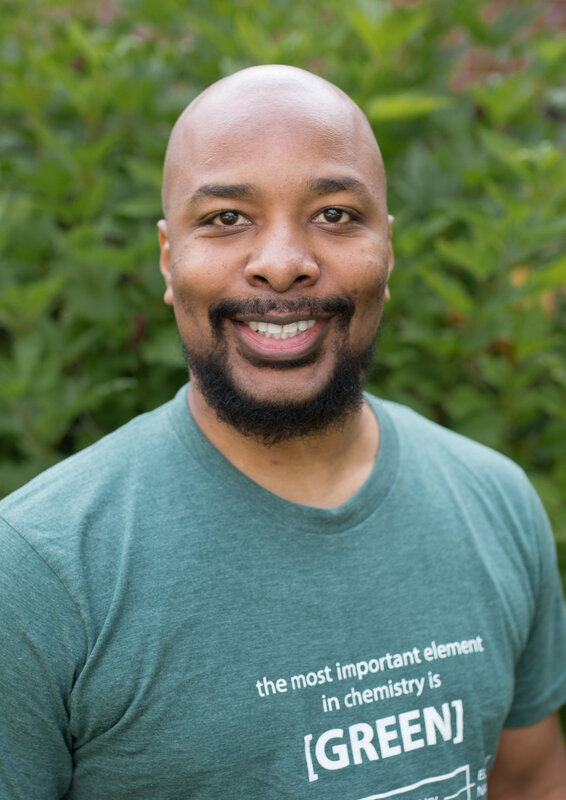 Welcome to the Lead Teacher Blog! My name is Scott Carlson, and I’ll be the narrator for this school year. And while I’m excited to explore other classrooms with you, I’d like to first share my story and journey towards teaching green chemistry. The expectations for teaching chemistry were different when I started teaching in 2006. I wasn’t expected to create unit plans, write higher order thinking questions or differentiate lesson plans. As a chemistry teacher at a large NYC high school, I was provided with a lab technician and experiments which were predetermined by both the textbook and my predecessor who, likely, choose the labs twenty years before me. Over the past twelve years, the educational system has changed quite a bit. experiencing this change. The job description of ‘High School Chemistry Teacher’ has now morphed to include managing chemical inventory, chemical ordering, hygiene and chemical safety, along with teaching. While I just listed four demanding aspects, every chemistry teacher knows there are many more responsibilities. And with this ever growing list, it is difficult to find the time to focus on our own teaching. Knowing there must be a better way, I stumbled upon a professional development held by Beyond Benign. 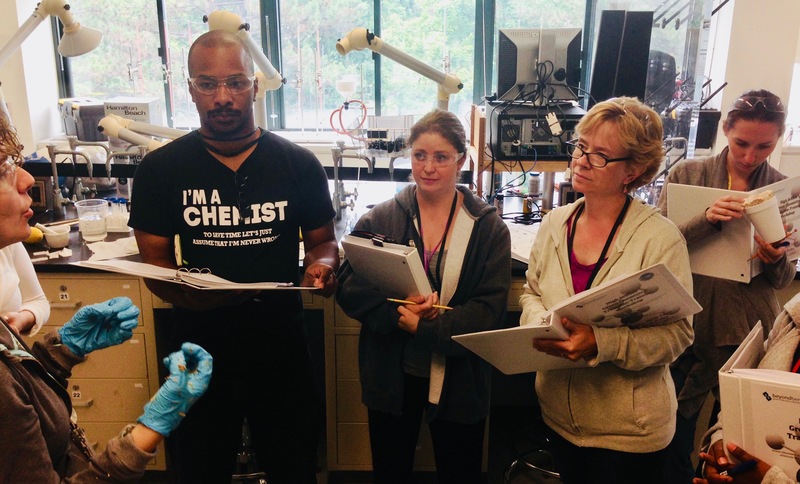 I didn’t know what to expect, but green chemistry reignited my excitement for teaching. I felt relieved to learn that I could do the Endothermic and Exothermic lab without using hazardous chemicals. One by one, each of the experiments I saw alleviated the worries I had come to associate with hands-on labs. I could again focus on my teaching. Over the past few years I’ve been infusing green chemistry content in my classroom. I’ve since become a Beyond Benign Lead Teacher and led PD in NYC similar to the one I attended. This year I am exploring easier, safer, and more affordable ways to teach chemistry concepts by learning what green chemistry looks like in other’s classrooms. I’ll be interviewing science teachers in process of adding green chemistry to their labs, and learning from each other along the way. 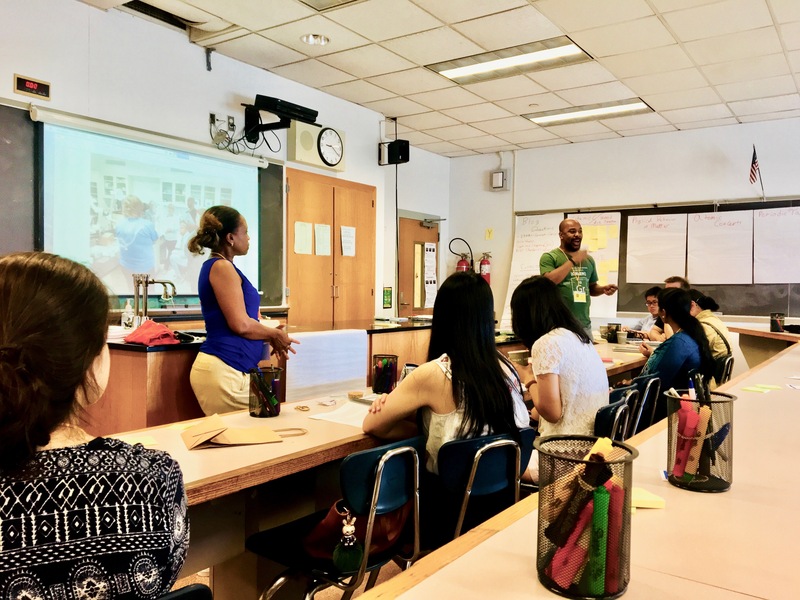 Sign up below to get notifications for when the next blog is written, you can expect one a month, each featuring a different high school teacher’s story of incorporating green chemistry into their classroom. Enjoy! What Might an Ideal Green Chemistry Classroom Look Like? Quite an inspiring story, Mr. Carlson. Thank you for sharing. I look forward to reading more as continue on your journey in green chemistry! Fascinating stuff; look forward to checking the blog regularly!